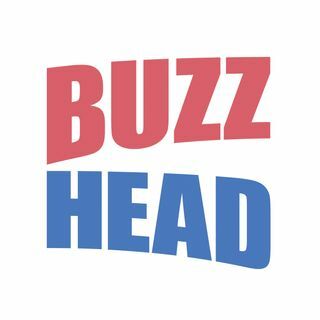 Live weekday show weekdays on BuzzHead Radio. Our daily show brings you lively stories, stimulating news and exciting information on lifestyle, entertainment, technology, health and more. Daily news, stories and events for Enid, Oklahoma. A funny, yet relatable podcast dedicated to all things women and wine. Grab a glass of wine and join 3 women as they dig deep into lifestyle, relationships, expectations, and much more! Stone Soup is a concoction of conversations with ingredients added by all kinds of different folks - experiences, insights, and everything in between. Each week we'll discuss different topics from the headlines or our hearts. Communities are made stronger when everyone contributes and that's what Stone Soup strives to do. Your ... See More hosts are Tammy Wilson, Jodie Sanchez & Jacquie Holt. Follow the Adventures Of That Sneaker Wearing, Entrepreneurial, Journalistic, Buzz Guy. A diary of running a small media company from Enid, Oklahoma. Fly with the Thunderbirds, start a podcast, interview Garth Brooks, blog about marketing, cover a Presidential Inauguration, give a speech on branding, chase a tornado, tweak some SEO, ... See More photograph The Beach Boys, follow a total solar eclipse, act with Jake Gyllenhaal, take a nap. You just never know what could happen while you're Livin' the BuzzLife! Everything cool about the 80's in one totally awesome podcast! Get the weekly Buzz going on in Enid, Oklahoma with your hosts Curtis Tucker and Todd Wheeler. Having grown up in Enid, these two know the local history and also the latest Buzz.